The new Kindle better than iBooks? 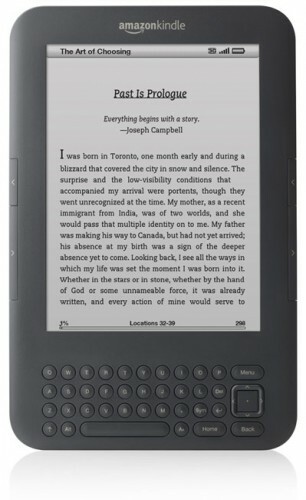 Amazon recently launched the new generation of Kindle ereaders. Which is an ideal digital reading device for those avid readers who may wish to carry their ever-growing libraries (storage capacity up to 3,500 books) with them, where ever they may go. After reading up on it for a number of hours and sleeping on it for a few days I decided to buy one finally. Just recently, and I mean recently I brought mine. The 6″ wi-fi version. One of my favourite pass time is to read interesting novels, be that islamic or on general topics/subjects.